In the video I question our freedom, the education system, corporations, money, the American capitalist system, the US government, world collapse, the environment, climate change, genetically modified food, and our treatment of animals. If you’d like to see more videos I’d appreciate if you click subscribe! These negative program templates that exist in the mindset and psyche of humanity are so deep, so ingrained that most humans never ever stop to think that their attitudes are already pre-shaped because of that which is the collective attitude held by humanity, that life is a hard go and that only bad things can really be expected and you are not to believe in positive goals and outcomes. Thank you. Today is March 6, 2015.
event you would like to discuss please at this time? Thank you. That this Awareness does have an opening message, a general opening message. That this Awareness has been talking about the programming that humans go through and receive. This programming commences even before the birth into the physical, into third dimensionality. But it certainly could be said that the programming a human goes through begins at the very beginning, begins at the cradle and goes throughout one’s life, right until the end. Therefore the programming of humans is that which could be said to be cradle-tograve. programming that constitutes the outline of life on this planet and the expectations one might have as to what will or will not occur, what can or cannot happen. Blossom: Here we are, once again. I AM FEELING REALLY BACK ON TRACK. Amazing what a good look into One’s Truth can do … to find out exactly what it is! Moving right along … what offering do you see fitting to impart in this communication today? GFL: Many greetings of sincere and uplifting, encouraging Love to Each and Every One. We are delighted indeed … that One is tending to their garden … sorting out the weeds and leaving only all that FEELS correct and nurturing. We are so very aware of the individual journey that each is travelling … and as much as we cannot or would not choose to interfere on that journey … we FEEL so very honoured to be able to be a ‘café’ … where upon we can provide sustenance along the way. Blossom: And I for One, am so very happy that you do. Thank you. GFL: No thanks necessary … and yet, in all sincerity, we acknowledge the HEART’S FEELINGS in which the Gratitude arises. Let us speak of this. When One FEELS Gratitude … there is a change within One’s Vibration that takes place. Yet, it must be FELT … not simply expressed. For ALL things … when only expressed and not FELT … are left ‘lifeless’ … would we say. FEELINGS, as we have spoken of … over and over … are what makes you tick. Is it not that your heart beats faster when excited? Is it not that it slows down when you rest? It is the ticking of the heart … it is the beating of this organ … that is controlled by the way you FEEL. Think about that for a while. Can it be that YOU control your heart? … and by this … yes, we do mean the actual functioning organ … YOU control it by the way YOU FEEL. You control ALL of you … every minute detail … by the way YOU FEEL. It does not/cannot control YOU. This is why we speak so much about FEELINGS. For when you accept this … when you ‘master’ your FEELINGS … you see an instinctive change within ALL around, within and about you. The key … as you all well KNOW … is FEELING LOVE. And YES … it IS the answer to EVERYTHING. So many of you say … ‘Yes, yes, yes, yes, yes. You have spoken to us many times about this. We get it’. Yet, with the DEEPEST RESPECT, Dearest friends of ours … you do not … quite … yet! For if you did … we would be witnessing a very different Energy within your world. You may very well understand that which we are expressing. Yet, to actually KNOW OF LOVE … AT ALL TIMES … TO BE OF LOVE … IN EVERY THOUGHT, WORD AND DEED … we would say, that there is still quite a way to go. You accept the concept … and this is wonderful. And speak you did. WOW! This is getting very interesting … for until I listen back … although at the time I was aware of the words coming through … right now … I can’t really remember them. Which I am really happy about … because, to me … it shows that you are in more deeply than when I have been channelling before. This IS good news. Can you just confirm for me … why there was a little break after you spoke my name for the first time? You said it is because you do not use names, as we are all One. GFL: This is so.Therefore, we are individualising by using a given name. Blossom: Yet, you say ‘the vessel’? GFL: This is the role you have chosen. Blossom: I FELT too, that there is something to do with the Energy of the name … I am not sure how to explain it. I know White Cloud once had great difficulty in saying the name ‘Mary Magdalene’. He explained it was because of the Energy of untruth that had been created around that name, that made it so hard for him to speak. GFL: Yes, we understand of this. Blossom: So, why am I picking up on a Vibrational Energy issue? You are asking me if I am sure I want to know? Now, even more so … I am intrigued. GFL: Because, Dearest One … who you are … is not ‘Blossom’ … that is your given name … upon the Earth … and yet, we know you as someone else. Blossom: Ah … THAT makes sense to me. I do not want/need to know who that is. In me ‘somewhere’ obviously, I know. Yet, I do not feel it necessary right now. (I think we have been here before.) It’s not important, yet, the FEELING I got when you said I was someone else … was like a penny dropping and it very much rang true. Cool … matter cleared. Thank you. Well, I guess that is it for today. Very interesting. Thanks so much. GFL: And yet, you agreed long, long ago. Blossom: I am glad I did … I FEEL we are moving on. In Love and thanks. GFL: FEELINGS OF GRATITUDE TO ALL. TRANSCRIPT 6TH FEB. OF THE DIRECT VOICE CHANNELLING. Indeed we are here. It is a blessing that you are picking up on our desire to speak through you in this way … And it is of great happiness that this is accepted by you, and therefore, we are able to work together and allow that which we consider to be of wise words … to be offered out in this appropriate new fashion. Why have we not considered this before? Oh, we have! … And yet, it was not possible regarding your Vibration … that is now of a different frequency … shall we say? Therefore, we continue on offering to you and those who listen to these words, that which we KNOW of LOVE. That which we consider … importance … for Each Soul upon the Earth plane to allow their heart space to listen to our words and also allow therefore, these words to open up into a deeper place of their hearts … in which TRUTH of the soul-self resides. We speak do we not … over and over of LOVE? We tell you that is all there is. We tell you to think only of LOVE. To FEEL only of LOVE and yet, we understand that in this world in which you reside … this world of duality … this world that can press upon you much heaviness for all that goes on within it and around your Beings … it is not always as easy as we are asking it to be. Yet, we would say Dearest Souls, it is a matter of … more or less … flicking a switch, if you like. In that, you make the decision to change. To change over from FEELING that, that you see around you and allowing it to bring you down … to FEELING LOVE … no matter what you see around you … for is it not … as we have said … all an illusion? Therefore, it is perfectly feasible for you to FEEL only that which you choose. THAT OF LOVE. NO MATTER WHAT. No matter how things appear to be. No matter of the phone call you may receive with saddened news. No matter of seeing things upon your television screens that bring your Energy down. Do you not see they are designed to bring your Energy down? We say, in Laughter … are you going to allow yourselves … the intelligent Beings that you are … to fall for that? … TRULY? Do you not consider yoursleves to be of much Higher standing? For we consider you to be so. Therefore, we would say … is it not about time for YOU to do so? Rise above who you think you are … to a much Higher state of Being … for then you shall be more in the place that you belong. BE OF JOY. For that is how … Dearest Ones … you shall change your world. That, Dearest ones … is why you volunteered to come. It was not … what you term a ‘summer vacation’. It goes far beyond that. You volunteered to be on Earth at this time, because it is the most exciting of times. AND YOU KNEW BEFORE YOU CAME, THAT WITHIN YOU … IS THE SPARK OF LIFE. The determination to bring Mother Earth from the density in which she has fallen … out of that place and into a Higher position. A position in which SHE and ALL who live upon her and within her … belong. There is no question. There is no doubt … to US … THAT THIS IS WHO YOU ARE. THIS IS WHO EVERYTHING IS. FOR THERE IS NOTHING ELSE OTHER THAN LOVE. Therefore, how can you be something that does not exist? FOR ONLY LOVE EXISTS … AND YOU ARE IT. Do you see? We are showing to the lady … of a physical human and as we present this image … it is as if there is layer upon layer, upon layer, upon layer, on and on and on and on and on … that has built up over your years. Another shell, another shell, another shell, another shell, and so on and so on and so on … leaving the LOVE … the TRUTH … the ABSOLUTE TRUTH OF WHO YOU ARE … hidden away … underneath … within all these layers of shell. YOU CAME HERE AT THIS TIME … TO REMOVE THOSE LAYERS … FOR MANKIND … FOR YOURSELVES. And you are doing so with great aplomb. Oh! Have we not expressed via Blossom … (there was a long pause) … The silence is due to our bringing forth her name … as opposed to using the words … ‘The vessel.’ It is done now … She is asking why we would have had an issue with it? It is for us … that names … (another long pause) … we apologise for the delay … It is … if you like … that we do not have names. We find them unnecessary … for we are all One. We were speaking of removing the layers … So that the TRUTH of yourself, the Light that you are … is now shining through as the layers are removed. THERE IS NOTHING FOR YOU TO DO … OTHER THAN SHINE THAT LIGHT THAT YOU ARE. That is why you came. You all struggle … questioning what you are here to do. You FEEL you are not doing enough. You KNOW you came here to do something … and yet, you know not what it is. WE TELL YOU, IN THIS MOMENT, WHAT YOU CAME HERE TO DO … IS TO SHINE THE LIGHT OF WHO YOU ARE. Think from deep within … how far reaching this goes. You are not just shining your Light to those that you pass by. When you understand the intensity of Light and when you think of a soul far, far away in another country that maybe suffering … all you need do is think of that soul and send that Light … and without question … it reaches deep inside their heart. This is fact. This is not illusion. Sort out the wheat from the chaff. This time ahead … within a time span of the next four or five years, we would say … and yes, we smile for we know not of time … yet, you shall see with your own eyes … and FEEL with your own heart … the change within you … therefore, upon and within your world … that is taking place. And the more you recognise the depth within you … the more that all you KNOW of, is the TRUTH. We ask you not to concentrate upon that which brings you down. Yes, there are positions in your Earth that could sadden the heart greatly. Yet, you do not assist by crying tears or getting angry or frustrated. How you assist, is to send out your Light. You will notice more and more … how you are noticing more and more … that your world and those within it are full of LOVE LIGHT. Concentrate on the wonders of your world. Concentrate on all that is good. This is what you came to do. As you climb the ladder of Life … you put yourself in a Higher position. Therefore, able to see more and more of that which is around you. This is why we ask you … for we KNOW … to be of the Greatest Joy. For as each thing appears to you in a deeper beauty of what it is … you will understand … you will come to the reasoning … of why … we speak in the way we do. Dearest Souls … Our friends … Our colleagues … Our family … WE ARE ONE. and AS One … our intention is to change your world into the beauty that it once was … And all those that reside within and upon her shall move with her … into a place that even your imaginings at this time can (as they were speaking … I felt the word spoken was ‘cannot’) produce. And yet as the veils fall away to reveal the Glory of what is to come … your hearts will recognise this place. When this Ascension plan you are carrying out now was put in place thousands of years ago, it was considered a very ambitious design. While there have been many planets in the cosmos which have ascended, and many groups of people who have ascended in the past, it is not generally done all together – planet and inhabitants incooperation. In the short period of one month, their reign of terror came to an end. Their leaders have been removed from the planet, their hero was revealed to be the leader of their supposed enemies, and they were invited to be welcomed back as the prodigal race they had been for eons. The implications of this dramatic ending – the true Apocalypse – has just begun to be felt across the planet. It will unfold gradually, as people awaken to the knowledge that they are no longer living under massive oppression. There are a few holdouts, like the Syrian dictator who was allowed to remain as the final example, or object lesson, for how cruelty will be dealt with, should the human converts to the Reptilian program – the ones our Kathryn has called Wannabes – decide to continue their Dark actions. This will be resolved when he realizes he no longer has any supporters, because everyone has “given up the ghost” when it comes to profiting on the backs of the poor and holding power over others. There is no more power structure to protect them, and to allow them immunity from prosecution. The collapse of the Tower of Darkness is at hand. This is your Apocalypse, Dear Ones. It is an event that will bring dancing in the streets, as the entire globe experiences Arab Spring – the term that has come to represent the final rising up of those who have been oppressed, to form more humane and viable forms of governance for all. It has gone by fits and starts, as can be expected, but it is a powerful and unstoppable force for Good which has taken hold of the imaginations of all who strive toward the Light. It will be done, as Earth as it is in Heaven. Within the great cosmos, which includes the star systems, visible and invisible to your human eyes, there are many races, many inhabited planets, and infinite energy. It is this energy which is managed and used by the powerful Creators, the Gods who create all beings, all souls, all planets and stars. The mystery of Creation is known and taught by them, and is the height of the ascension ladder – the ability to create. This ability is held sacred, a holy responsibility which is only carried by the Highest of the High. Dear Ones, have you all been listening to the BlogTalkRadio shows in addition to reading these messages? If so, you are now aware of the wonderful news we have given to you about the immense changes on the planet. Here is the announcement: All contracts are finished, ended. All soul contracts are now cancelled. All those who came here to Planet Earth to manage difficult illnesses, complicated relationships, and challenging handicaps are now freed of all pain, all suffering. You now are completely free to exercise your free will without karmic strings, as you might think of it. In addition, all financial contracts such as mortgages, car loans, student loans and other commitments which have been arranged through banking institutions of all kinds are hereby cancelled. Personal commitments between friends will of course still be important to uphold, but corporations and banks will no longer be recognized as viable creditors because of the criminal and lawless system on which they are based. It is time for all of you to reclaim your freedom, take command of your own lives, and find your voices, as you see others around the world doing by taking to the streets to proclaim their passionate desire for a better life – one of dignity and the self-expression which democracy allows. Your Planet has declared her desire to ascend, and it has been done. You are now all in the historic position of being invited to elevate your consciousness to take part in the most ambitious plan ever executed in the history of the galaxy. Now, in the span of one Earth lifetime, you can move from a 3-dimensional life to the coming Golden Age in the higher 5th dimension. This is the Paradise on Earth that was promised in your ancient texts. Every soul is given the opportunity to join in this magnificent adventure, because of course you have all known since before you came here that you would be taking part in this Ascension. It was a very prestigious opportunity, this lifetime journey. There are Masters and Angels, aspiring beginning souls and ancient Saints who have come to experience a last lifetime here on Earth, in the somewhat infamous heavy, dense and difficult atmosphere. Here, the challenges abound for learning charity, patience, compassion and empathy. A triumphant life is one in which the person can live through the temptations, pain, disappointments and dangers and still come out at the end of their lives with a connection to their hearts intact. This was the last opportunity for all souls to experience this 3rd dimensional, free will planet, because Mother Earth decided some time ago that it was her desire to leave this dimension, and she has accomplished it by fulfilling her long commitment to humankind. She has fulfilled her contract with Us, Mother/Father God, to care for our beloved children, and she was granted her wish to ascend into a higher dimension, which she has done. Many on Planet Earth are not aware at this moment that everything has changed. It is for them that we send this message through Kathryn. We hope to reach all the people, all ages, all cultures, and all the corners of the globe, to tell them of our great Love for them, and our great hope that each one will awaken and join in the glorious Shift into a higher plane of existence. It has been a long and difficult road, this transition from Darkness to Light. Many have suffered; many have had to repeat lifetime after lifetime to advance in their learning process, but lessons learned on Planet Earth are indelibly etched in consciousness. This is why it is a most popular place to incarnate, by virtue of its having been in the throes of a revolutionary battle between Light and Dark for eons. And now, Dear Children, you are within moments of completing your lifetime here. You have the choice this time to ascend with the body you occupy now. You will be taken off the planet to be renewed, restored to perfect health in a body in which you will be able to live forever. In the meantime, Mother Earth will do the same. When she does, she will be restored to the pristine loveliness and purity of her original beauty. You will not have to worry about Armageddon; there will be no terrifying pole shift or world war. All nuclear weapons have been neutralized; those Dark Ones who have secretly controlled the resources of the planet have been removed from power. Many will be tried for crimes against humanity and will be prevented from ever returning to positions of influence. You have been seeing the “UFO’s” in your skies for generations now. Crop circles containing messages to humankind have been created so frequently as to have become a common occurrence. Your scientists and governments around the world have long been aware that your extraterrestrial brothers and Sisters are trying to make contact with you in a peaceful way, but the wall of secrecy and lies has grown with every encounter. Those who control the wealth on the planet did not want to give up their power by allowing the people to have free energy, new ways of communicating, and the other great advantages which these visitors possess. Now, the final chapter of this saga of Planet Earth has begun. Everything is changing at a very rapid pace. You will finally begin to see evidence in your mainstream media of the profound shift which will allow those who have lived lives of service to others to be revealed as your Ascended Masters, and they will be standing by to help with the dramatic changes you will be feeling. There will be announcements to inform you of the true history and progress of the evolution toward Light. Nothing will remain the same, so there will be no possibility that you can remain detached from what is going on. Every being on the planet will be required to choose their path – to ascend to a higher level of consciousness or to end this life in the usual way – through death and the return to God in the usual way. Those who choose to ascend now to higher levels of consciousness will be freed of the process of reincarnation in life after life, and will be given the ability to live eternally in the higher expression of life in a lighter, more highly evolved body in higher dimensions. Those who choose not to join the Ascension will continue their lessons at lower levels in other places. Earth will no longer be available as the 3-dimensional proving ground. She has been recognized for her millions of years of service, and has at last been granted Ascension. She has selflessly slowed her process to allow as many as possible to awaken and join her in this glorious graduation to higher dimensions. 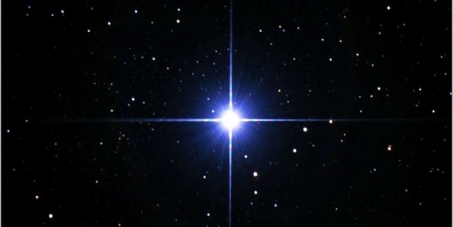 The Shift has occurred because of the great numbers of humankind who have awakened once more – after thousands of years of being separated from their connection to God. Religion as you have known it will drop away, as everyone discovers that they can communicate directly with Us, Mother/Father God. We are here with you always, whispering in your ear, and for those who have listened to the radio shows with Kathryn and Anne, you have talked with Us in person. This week, we have announced definitively that the one you have known as Zorra is in fact Father God. It was easier for many to talk freely and to ask questions when the voice they heard was given a more familiar identity which everyone could relate to, but now it is time for you to be given the Truth in its whole form. You have felt our Love in your lives at times when you were most open. Unfortunately, those were most often times of suffering, confusion and pain. You have not felt the great pleasures of living in the constant stream of Endless Love we have been sending to you since the moment you were born. This is what we offer you now: a life of Heavenly Grace, immersed in the Love, Light, Compassion, Forgiveness, Joy, Peace and Harmony which has been the dream of your dear Jesus, the one who has dedicated his life in body and in spirit, to this Grand Plan. The Ascension of Planet Earth and of all Humankind will mark the end of all suffering, all want, all poverty and degradation of Mother Earth herself. The New Golden Age begins now, and you are all invited to attend the coming-out party, which will be held when the ships and containing your Star Brothers and Sisters, including Jesus Sananda, St. Germain, Ashtar, Archangel Michael and all the Ascended Masters who have helped to make this transition possible. Yes, Jesus will return, very soon. He is waiting now, in his role as Admiral of his ship, The New Jerusalem. With him are the Twin Flames – the mirror souls – of many who are incarnated here now. You will all meet as soon as the Disclosure of their presence has been made official in every corner of the Earth. The announcements will be simultaneous and undeniable. Every radio, television, cell phone and iPad will carry the message that Planet Earth and her people are at last free, by their own efforts, with help from their galactic Brothers and Sisters. We are offering this message today, July 24, 2013, so that you can share it with every single person you know. Begin by printing out dozens of copies of this message, which will be posted on http://www.whoneedslight.org and http://www.hollowearthnetwork.com and many other websites across the world. We ask you to give a copy to everyone you work with and every neighbor you speak with. Hand them out on street corners. 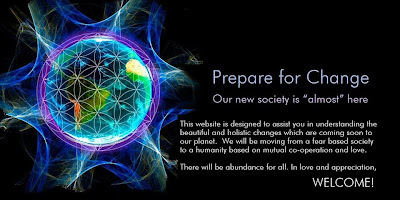 You will be doing a great service by giving your friends and family advanced preparation for the stunning events which will unfold so rapidly before your eyes that the uninformed will be overwhelmed by the wonder and apparent impossibility of it. Don’t miss out on the joy because you are afraid or suspicious or wary of any news that does not align with the half-truths you have been familiar with. Do not be concerned that people will think you are a raving crack-pot. Very shortly they will thank you with such overwhelming gratitude and relief that any fears you might have had will melt away. You who are awake and aware must be the leaders in this time of adjustment. People will be confused, disoriented and therefore afraid if they cannot be assured of their loving connection with God, which will anchor them and reassure them that this Shift is for the better. Nothing will be lost; everything will go on, but in a different form, as you have been taught in the First Law of Thermodynamics. Relationships will continue, in more loving and accepting form, and all will discover their true spiritual identity as participants in the glorious Earth project. All children, animals and other spirit beings will ascend effortlessly. It is the adults we are concerned with. Time is short. Raise your consciousness and your vibrational level by taking complete command of your thoughts, feelings and actions. Open your hearts to love without judgment. Practice forgiveness in all your relationships, and do not permit yourself to fall into condemnation or judgment of anyone, even those who have hurt you or those who practice a different religion or ideology than your own. All will melt away in the elevation to Oneness which comes with Ascension into higher dimensions. Your bodies, your present identities and all you thought of as “reality” will be revealed as the brief moment in eternity it really is. You will soon learn to feel and use your God powers, for you are indeed created in our image. You are Gods, each and every one. You only need accept the close connection to Us which flows through you. We are your Creators and your biggest fans. Unlike human parents, we never lose patience or hope or trust in your ultimate triumph as individual souls and as precious members of the great legion of intelligent, conscious beings. It is time for you to take your place among the Galactic Federation of Light as full member representatives of your Planet Earth. You will soon see the thousands of ships and the millions of Star Brothers and Sisters who are here to embrace you and bring you gifts. Welcome them with open hearts and minds. Leave behind the old concepts about warlike conquerers. These are beings – human and otherwise, whose civilizations have evolved far beyond yours, emotionally, philosophically and technologically. Their technology is far advanced of yours, created with Love and used only for the Greater Good. Read our many messages to you, which have all been posted free for all the world to read on Kathryn’s website, http://www.whoneedslight.org. Take this message to the world, as a current events introduction to what is happening now in your world. Show it to everyone you know. Talk about what you have learned here, and supplement it with further information from the web site. Do not jump to conclusions on the basis of this one message. If you have questions, read further, ask questions on the BlogTalkRadio shows which are offered every Wednesday at 8:30 pm EDT and every other Saturday at 12 EDT. (See schedules on both websites.) Kathryn channels our messages live, along with information from Jesus and other Ascended Masters. Join Us to help you understand what we have told you here, and what is to come. Go to BlogTalkRadio.com/HollowEarthNetwork to hear the story of Lucifer’s return, in his own words.